Insecurity in the Central African Republic (CAR) is still having an impact on people’s lives, especially in the more remote areas of the country. A 35-year-old health worker, Pkecko Harly (also called Alfred), was killed by an unidentified individual during an armed robbery while he was on his way back from Bossangoa (Ouham prefecture) to Pama. He had some personal belongings with him, like soap and salt that he had just bought in the market, as well as a little money. His motorbike developed engine problems on the journey and while seeking help he was attacked, and his motorbike and other possessions were stolen. Sadly, assaults such as these are not uncommon in CAR today and civilians live daily with the threat of violence. Since May 2015, Médecins Sans Frontières/Doctors Without Borders (MSF) has supported a malaria community health post in Pama, a village 90 kilometres from Bossangoa, by providing medical materials, incentives and training local staff. Alfred was the ‘Malaria Agent’ in Pama and was supporting his community. People who live far away from health centres or hospitals rely entirely on health workers such as him in order to be tested and treated for malaria. MSF is deeply shocked by Alfred’s death and extends its heartfelt sympathies to his family, friends, community and colleagues. “Everywhere in the country civilians are continuously exposed to violence and insecurity because of the actions of individuals or armed groups”, said Martin Braaksma, MSF Head of Mission. “This is a permanent threat to people who want to access healthcare and also for the humanitarian organisations who need to be able to move around safely in remote areas in order to provide assistance. Medical needs remain as urgent as ever, so our presence is critical and we will continue to stay in Pama, as in other places”. In Bossangoa region, as in many other areas of the country, malaria is the main cause of death among children under five. MSF supports 11 malaria posts offering testing and treatment to people living up to 130 kilometres from Bossangoa, and also runs mobile clinics that provide primary healthcare. Since January 2015, MSF teams have performed 73,816 consultations, 72 per cent of which were for malaria, and treated 1,111 children for severe acute malnutrition. MSF also works in the Ministry of Health hospital in Bossangoa, providing secondary healthcare. Since January, 2,910 patients have been admitted, 1,611 of them children under five, and 399 surgeries have been performed. MSF has been working in CAR since 1997. 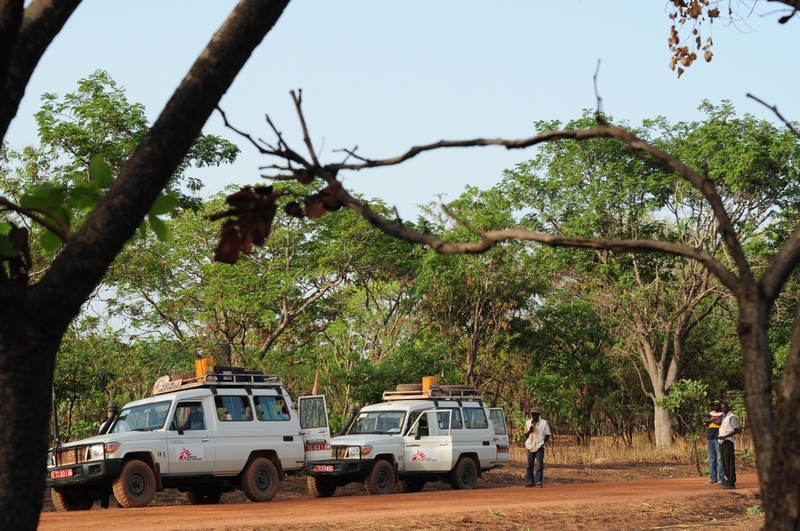 Since December 2013, in response to the crisis, MSF has doubled its medical assistance in CAR and is running additional projects for Central African refugees in neighbouring countries.